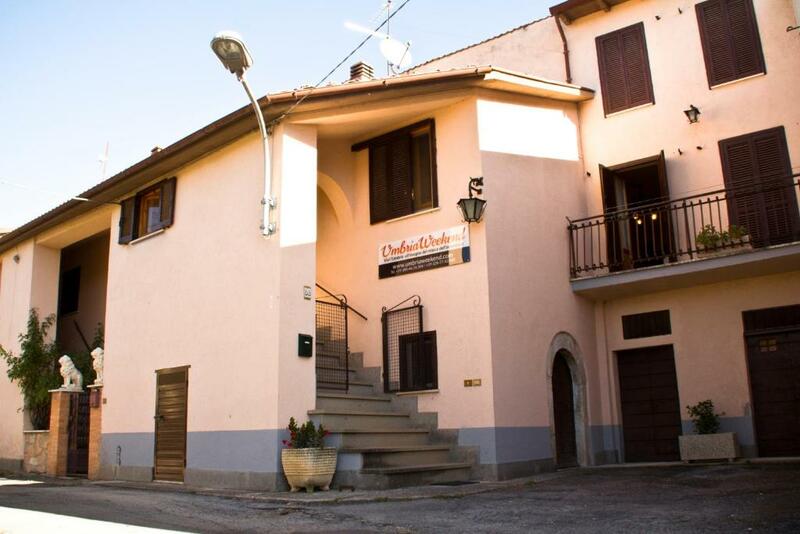 Umbria Weekend is set in the countryside and located in Avendita. 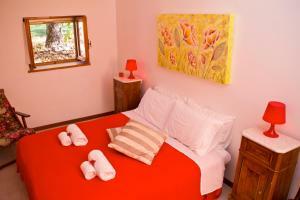 Set in its garden, it offers self-catering apartments with free Wi-Fi, as well as a games room and free BBQ facilities. 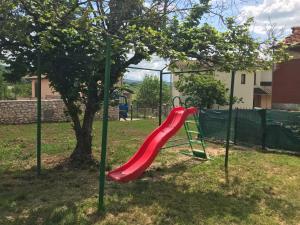 There is also a play area for children in the garden. The rustic-style units have 4 bedrooms, a living room, a fully equipped kitchen, a living room with fireplace, and a bathroom. Facilities include a flat-screen satellite TV and washing machine. Opportunities for trekking, horse riding and rafting are found in the surroundings. 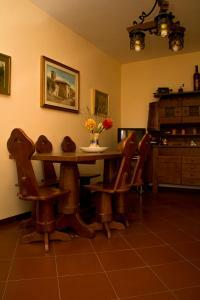 Norcia is 6.2 miles from the property, while Spoleto is a 30-minute drive away. 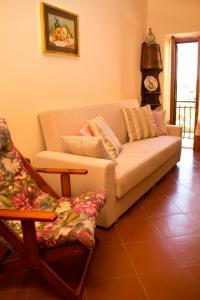 Umbria Weekend has been welcoming Booking.com guests since 7 Aug 2013. 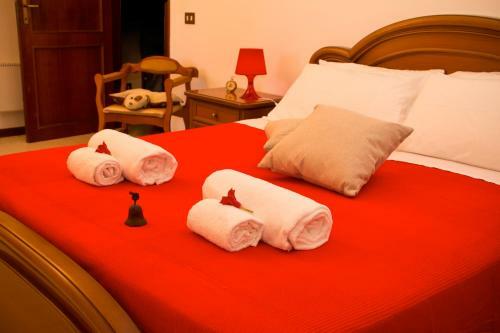 When would you like to stay at Umbria Weekend? This rustic-style apartment is composed of 3 separate bedrooms, a living room, a fully equipped kitchen, a living room with a cosy fireplace, and a bathroom. 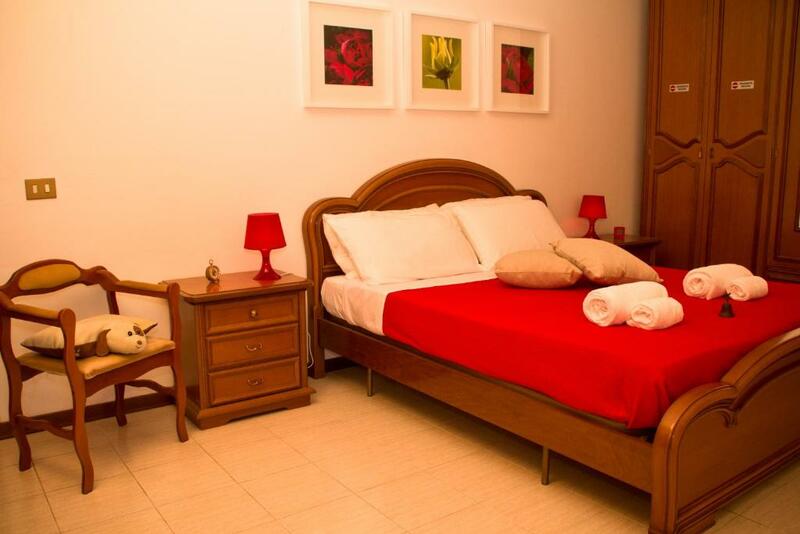 Facilities include a flat-screen TV with satellite channels and washing machine. Umbria Weekend è strategicamente posizionata tra Cascia (5km) e Norcia (10km) e offre diverse possibilità agli amanti della montagna, della tranquillità e di chi invece vuol passare qualche giorno svolgendo attività sportive quali trekking, rafting, equitazione, go-kart,... Umbria Weekend dispone inoltre di un giardino con giochi per bambini e barbecue, una ampia cucina con camino, una sala hobby con bigliardino per accontentare grandi e piccini! 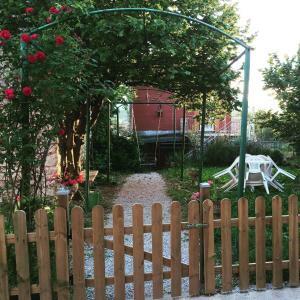 A due passi è disponibile un mini-market e bar, un ristorante pizzeria, un centro sportivo (aperto solo in estate). L'appartamento dispone di un giardino di proprietà con giochi per bambini (scivolo, altalena, dondolo) e una sala hobby con il biliardino. La posizione è strategica perchè siamo esattamente a metà strada tra Cascia e Norcia. House rules Umbria Weekend takes special requests - add in the next step! Umbria Weekend accepts these cards and reserves the right to temporarily hold an amount prior to arrival. Please inform Umbria Weekend in advance of your expected arrival time. You can use the Special Requests box when booking, or contact the property directly with the contact details provided in your confirmation. We need at least 5 reviews before we can calculate a review score. If you book and review your stay, you can help Umbria Weekend meet this goal.